Obituary for Robert J. Pace | DeMarco-Stone Funeral Home Inc.
Ballston Spa- Robert J. 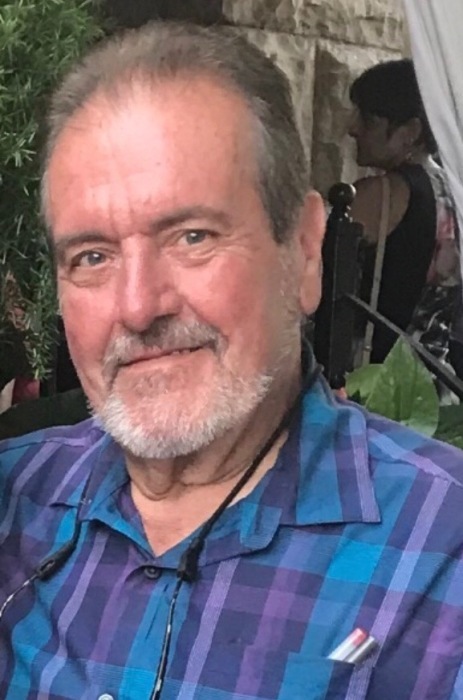 Pace, 68, formerly of Niskayuna, passed away January 31, 2019, surrounded by his loving family, after a brief illness. Born in Schenectady, NY on January 16, 1951, he was the son of the late Salvatore and Sophie (Jablonski) Pace. Bob was a successful businessman who owned and operated the Fireside Restaurant, Schenectady for thirty-three years. Later, he was a bus driver with the Ballston Spa School District as well as Saratoga Bridges. Bob enjoyed traveling with his family, gardening, and carpentry. He was fond of his dog, Oliver. His family was the center of his life. Bob devoted himself and provided for them with the utmost humility, selflessness, and endurance. He was an extraordinary one-of-a-kind friend. Known for his sharp wit, he reveled in bringing a laugh and a smile to those around him. He will be deeply missed and his memory held dear by anyone who had the pleasure of knowing this remarkable man. Family members include his beloved wife of thirty-four years, Mary (Ciarmello) Pace; and his children, Evan R. Pace and Leanna M. Pace. In addition to his parents, he was predeceased by his sister, Toni Benveniste. Memorial contributions in Bob’s name may be made to Saratoga Bridges, 16 Saratoga Bridges Boulevard, Ballston Spa, NY 12020.